Renault have revealed their brand new challenging car for the 2019 Formula 1 championship season, to be driven by Nico Hulkenberg and new recruit, Daniel Ricciardo. The Australian joins the team after a highly-publicised move from Red Bull where he spent a decade as a driver through the junior ranks and into F1. 1977 to 2019. Every line. Every curve. Using the most advanced technology available, and improving year on year. Breaking new grounds. All leading to today. Here is the 2019 Renault F1 Team challenger. Here is the R.S.19. 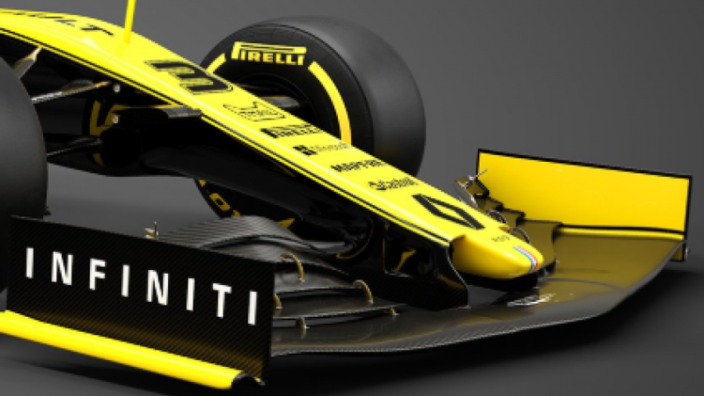 Renault have once again opted for a dark yellow livery on their new vehicle, which is called the R.S.19, with the underbelly darker than in previous campaigns. The French manufacturer have reportedly spent big in the off-season as they attempt to break into the elite trio of Mercedes, Ferrari, and Red Bull in the constructor's rankings, having finished the 2018 season as the 'best of the rest' in fourth. The acquisition of Daniel Ricciardo set off a chain of driver changes in F1, as along with Pierre Gasly replacing him at Red Bull, Kimi Raikkonen and Charles Leclerc swapped teams from Ferrari to Sauber and vice-versa, while rookies such as George Russell and Lando Norris will be making their debuts in 2019. MORE: Will Mercedes' 2019 F1 car look like this?